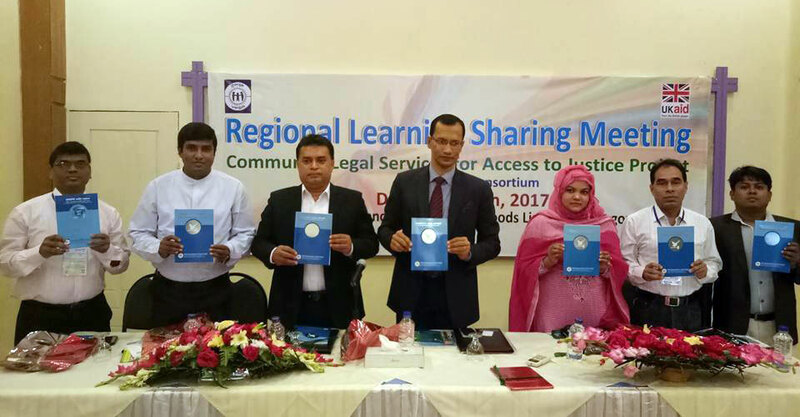 On March 16 2017, YPSA has organized a Regional Learning Sharing Meeting of YPSA-Community Legal Services for Access to Justice Project at PITSTOP, Lalkhan Bazar, Chittagong. The purpose of this meeting was to share the success story, best practices, lesson learned and the way forward of Community Legal Aid issues. 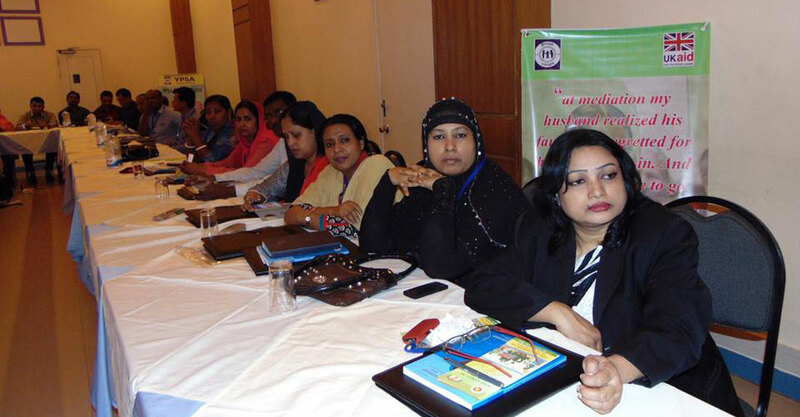 Chief Judicial Magistrate of Chittagong Court, Mr. Munshi Moshair Rahman was present as a Chief Guest of this event. Moreover, Professor A.B.M. Abu Noman, Dean-Faculty of Law, University of Chittagong, Dr. Edris Alam, Associate Professor, Department of Geography and Environmental Studies, University of Chittagong and Farhana Yasmin, Senior Assistant Judge and District Legal Aid Officer, Chittagong were presents as a special guest of this meeting. This meeting was presided by Md. Arifur Rahman, Chief Executive of YPSA. This meeting was parted in two chapters. In first chapter Md. Mahabubur Rahman, Director-Social Development, YPSA has given a welcomed speech and then Programme Coordinator, Md.Abdus Sabur has presented a detail presentation of YPSA-Community Legal Services for Access to Justice Project, BLAST-YPSA Consortium. 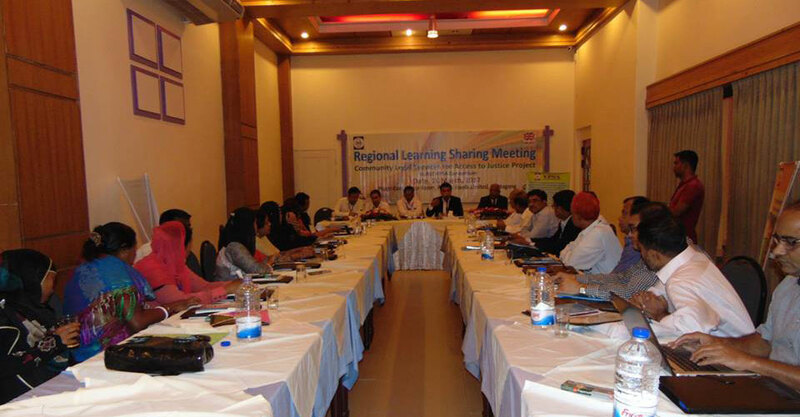 At the presentation he said YPSA-CLS has disseminated the legal literacy/knowledge to 0.15 million of people in across the project area (Chittagong and Cox’s Bazar), successfully conducted 123 Mediations, 360 UP representatives of 76 Unions received training on legal literacy, developed a strong coalition where about 450 members were received training and orientation on mediation and common legal issues since 2014. He also shared that, community people are sensitized and they are now informed where have to go for legal service. In addition to, he shared the way of forward issues on legal services as need more provision to marginalized women, social excluded group for increasing access to justice. And no alternative way to widely legal literacy campaign and door step legal aid services. After that, Farhana Yasmin, Senior Assistant Judge and District Legal Aid Officer, Chittagong has said that, YPSA doing well on providing legal services at root. Professor A.B.M. Abu Noman, Dean-Faculty of Law, University of Chittagong has said that for outstanding contribution to the society, YPSA’s name and fame across the country boarder. He believed CLS project is increasing the access to justice of marginalized community mainly hilly and island areas. He also made praiseworthy of CLS publication as he worked closely of this publication as a reviewer. 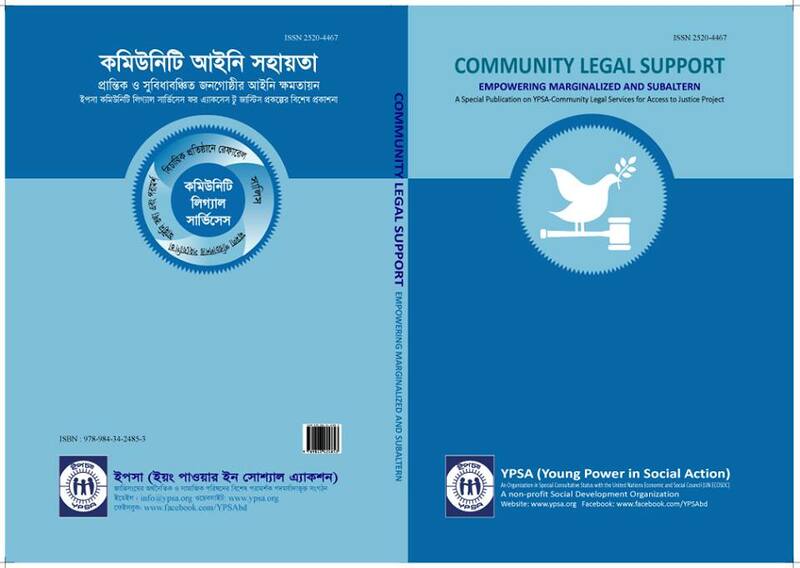 He believed this publication is international standard and be a guide of community legal aid services of Bangladesh. Finally, Chief Guest of this meeting Mr. Munshi Moshair Rahman, Chief Judicial Magistrate of Chittagong Court said that he makes happy and feeling good on attending this meeting. He thanked to organizer for inviting him. He said it is a good sound that nongovernmental organizations (NGO’s) are now working in legal aid alongside of government. As well YPSA is doing well in regards of community legal services. His expectance, YPSA will expand the legal service to the community mainly social excluded group. He expressed more interest on YPSA Digital Talking Book, which was developed visual impaired and literacy impaired person. He congratulated YPSA for awarding BEACON award for innovation in legal service delivery. A Special Publication was launched at this meeting with the presence invited guest. 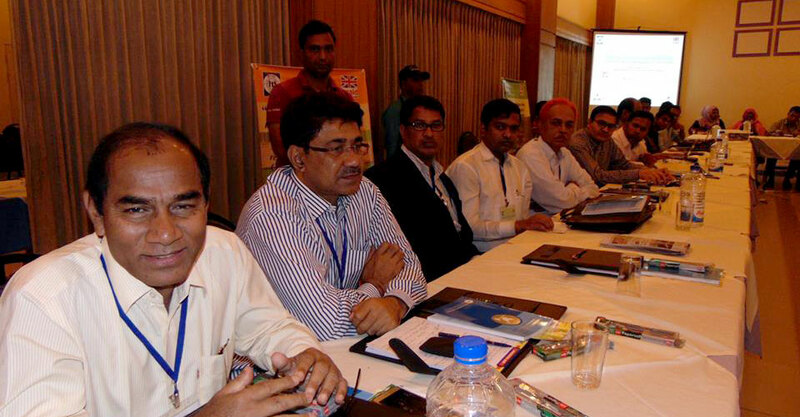 Chief Judicial Magistrate of Chittagong Court along with other special guest were unfolded the cover of publication. The publication is namely Community Legal Support: Empowering Marginalized and Subaltern. This publication is a research based articles and write-up which was given emphasized on legal advice, legal information, Human Rights, Alternative Dispute Resolution (ADR), Good Governance and others related fields of legal aid services of Bangladesh. In second session, a discussion was held with presence of beneficiary, CLS centre lawyers, ULAC Chairman, UP Members, BLAST Lawyer, DLAC Lawyer, One Stop Crisis Centre (OCC), Judicial, Government Official, NGO Person, CLS Partners, Disable people and Media People. About seventy people were participants of this session where about forty prevent were female participants. This session was moderated by Md. Arifur Rahman, Chief Executive of YPSA. Dr. Edris Alam, Associate Professor, Chittagong University, Advocate Paresh Chandra, Additional Public Prosecutor of Chittagong Court and Barrister Showgatul Anwar Khan were presence as an expert of this discussion meeting. This discussion meeting was fruitful and participatory. Additional Public Prosecutor (APP) said that we should always be ready on working voluntary legal service. In project period we have trained about 500 UP members in across the project area. So this guys were local and they are elected representative, they will continue the project lesson if we are not more at community. He also suggest be aware on providing any legal information at community. Mr. Shahdat Hossain, Police-Sub Inspector, OCC-Chittagong shared that many cases poor litigant cannot present any witness for that reason perpetrator are exemption from aforementioned suits. Moreover, witness felt scare to given ascertain in against of muscle man or criminal. Advocate Nilufar Yeasmin, DLAC Panel Lawyer suggested that to taken initiative on presenting second party of any suits, especially for dower suits. On her experienced, second party not responded in dower suits for that this suits might be decree for that reason victim not get benefited. Mr. Ahsan Ullah (Visual Impaired Person) said that the legal and judicial system has not proper environment as well as special provision for disable person. He seeks government to making disable friendly environment in legal system. Mr. Utppal, BBF (NGO Representative) said that government should widely disseminate the information of law and its provision to community people otherwise fruitful result being delay. He also made empathized on activation of village court and Union Legal Aid Committee. Mr. Touhidul Islam, Chairman, Lalanagor Union, Rangunia, Chittagong said that YPSA legal awareness activity made positive changes at community. He made a suggestion that there should a policy from government on ceiling value of dower money and it might be five lakh taka. He also drew an attention on making a policy of prohibitory of men violence by women. Finally, from the site of expert on discussion session Dr. Edris Alam said that, he made agree of all statements of participants but not now to thinking on a policy of prohibitory of men violence by women. If it did then might be increased women violence in community. At concluding speech, the moderator of discussion session Md. Arifur Rahman, Chief Executive, YPSA said that the Constitution of Bangladesh made provision that all citizens are equal before law and entitled to equal protection of law. But a significant number of people are deprived from constitutional rights due to lack of legal services at root. For that the NGO services in regards of legal literacy at root is indispensible. He thanked to UKaid, Maxwell Stamp PLC, British Council, Centre for Effective Dispute Resolution (CEDR) and Community Legal Services for funding and supporting on implementing YPSA-CLS Project. Likewise he mentioned that it is impossible for government or any single organization on ensuring access to justice of underprivileged people of the country and might be closer coordination between GO and NGO’s and more funding from globally in regards of community legal aid services. Moderator also argued on read the articles of YPSA-CLS publication. He said that every project has certain time period. We should use the learning of project in community increasing access to justice of marginalized and social excluded group.